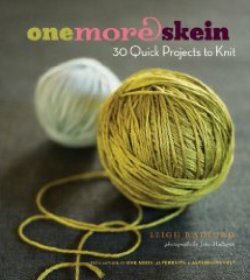 Looking for one to two skein patterns that make great gifts? If so, this book by Leigh Radford will be a keeper for your library. 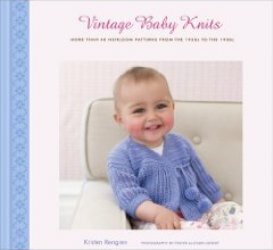 The patterns are unique, well written and easy to adapt to various yarns. Not only that, you can create a project with luxurious yarn guilt free! This unique book by Judy Summer introduces a whole new world of sock knitting. 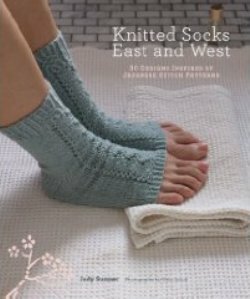 Included are 30 patterns featuring Japanese stitches in a wide range of designs from short to long, fine to bulky, and simple to complex. For all you sock knitters out there, this is a must see. Vintage lovers take note. This book by Kristen Rengren is spectacular. She has researched and collected more than 40 heirloom patterns from the 1920’s to the 1950’s to share. She has also included interesting background information on the history of each pattern. And, the babies featured are absolutely adorable. Greetings from Knit Cafe by Suzan Mischer. Check out the Lacy Skirt Alexa made from this book. Super comfortable and oh, so feminine. This entry was posted on Tuesday, September 15th, 2009 at 2:37 pm	and is filed under Uncategorized. You can follow any responses to this entry through the RSS 2.0 feed. Both comments and pings are currently closed.